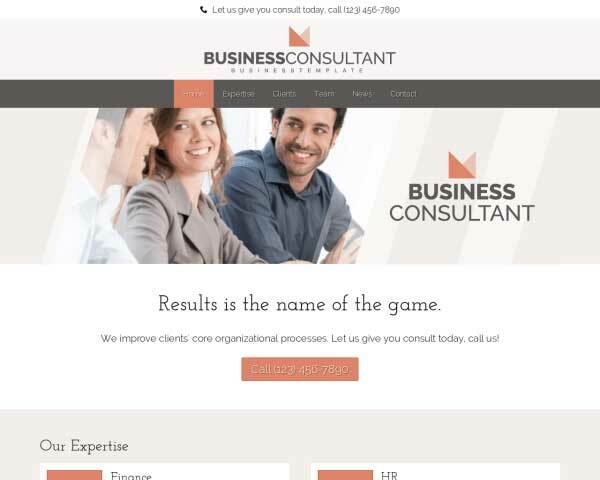 Show prospective clients what you can do for them when you present your consulting agency online with the Business Consultant WordPress theme. 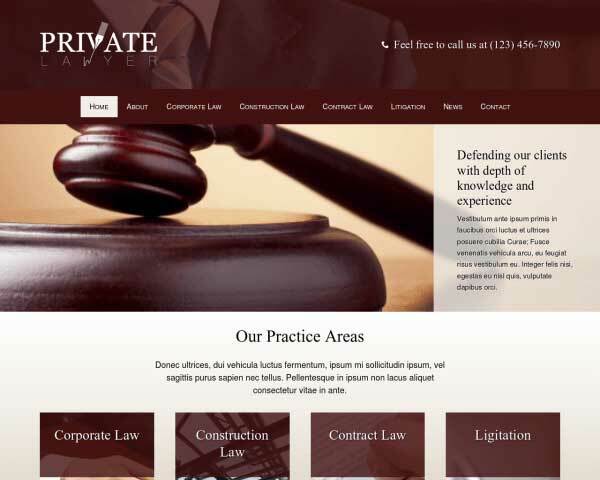 With relevant pages already set up and waiting for your content, we help you get your consulting services online fast even if you've never built a website before. 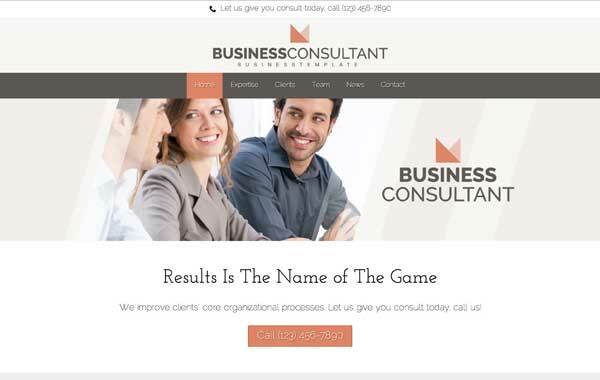 Whether you're just starting out on your own with a new consulting business or building a new website to expand your agency's reach, the Business Consultant WordPress theme saves you time and money. With all the important pages and elements set up and ready for your own text and photos, you'll be able to add content and keep your site updated without relying on a web designer to make small changes. No coding skills are required to customize colors or style text using our unique front-end editing tool. Even adding new features and adjusting pages layouts is simple with drag and drop widgets. This premium theme includes powerful business features that would normally require additional coding or plugins, like built-in contact forms, integrated social media, a helpful SEO manager and solid responsive design. 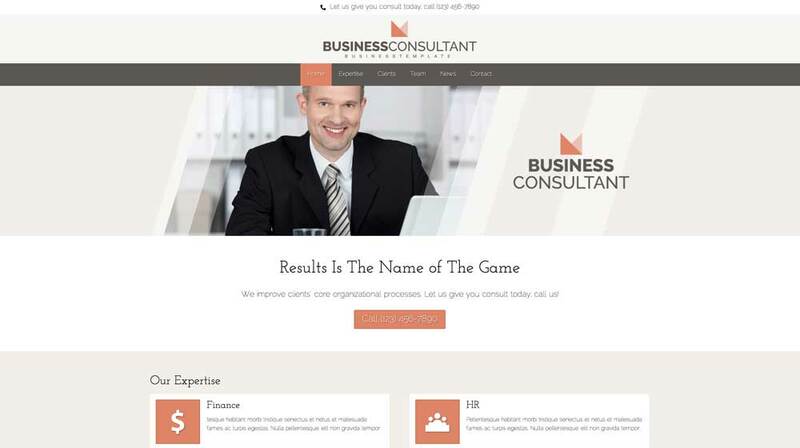 Try the Business Consultant WordPress theme free for three days and see how easy it is to build a sleek, professional website for your consulting services. 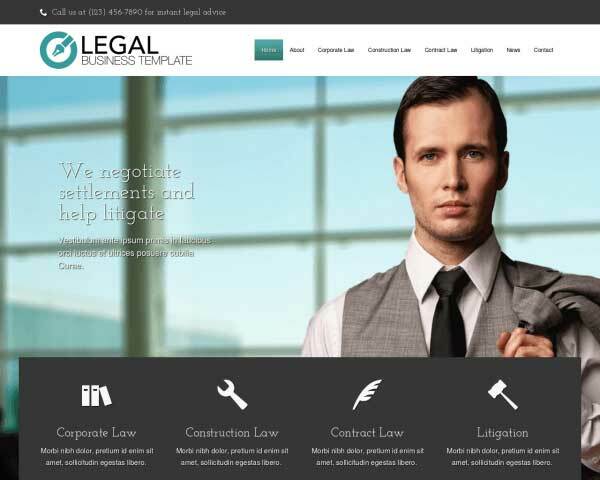 The Business Consultant WordPress Theme is designed specifically with the business needs of consultants in mind, with the most important pages and features already in place. 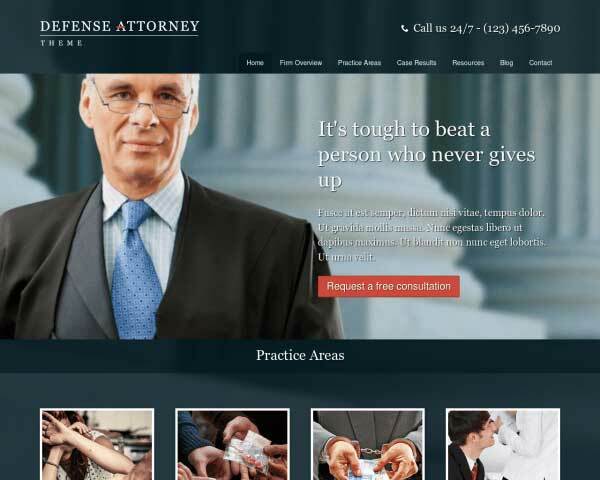 Visitors won't have to search for a way to get in touch thanks to calls to action prominently displayed on every page of the Business Consultant WordPress Theme. 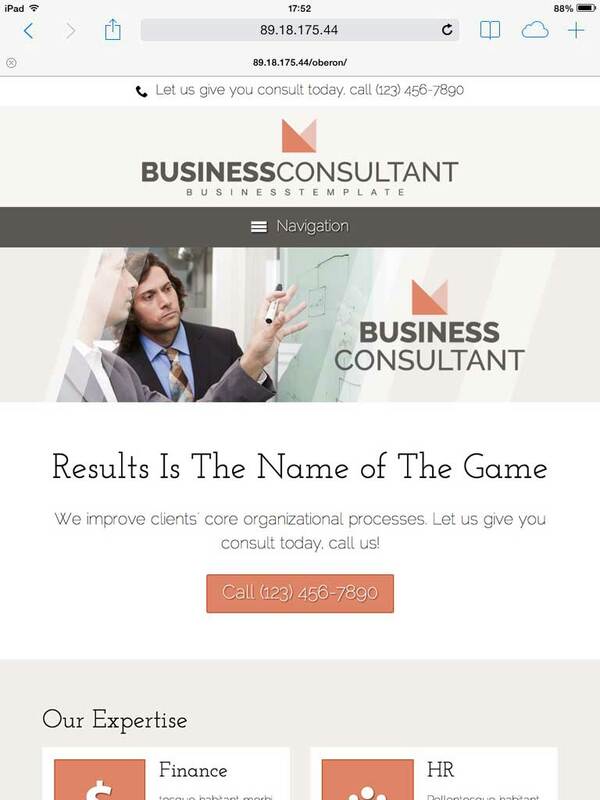 The contact page on the Business Consultant WordPress Theme includes space for your contact details plus an integrated Google map, route planner and built-in form. 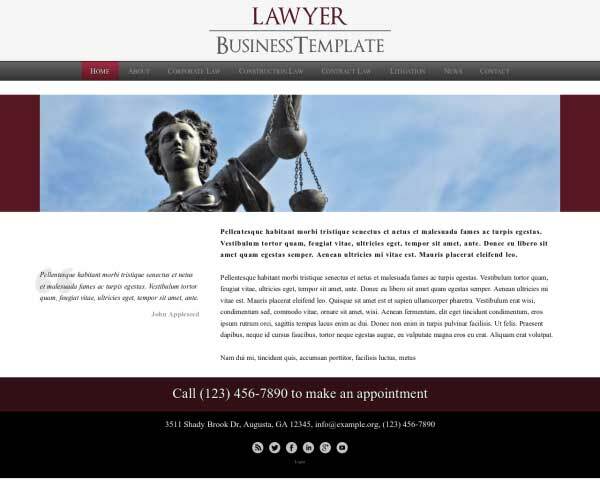 The Business Consultant WordPress Theme conveniently includes a spot to name some of your top clients. 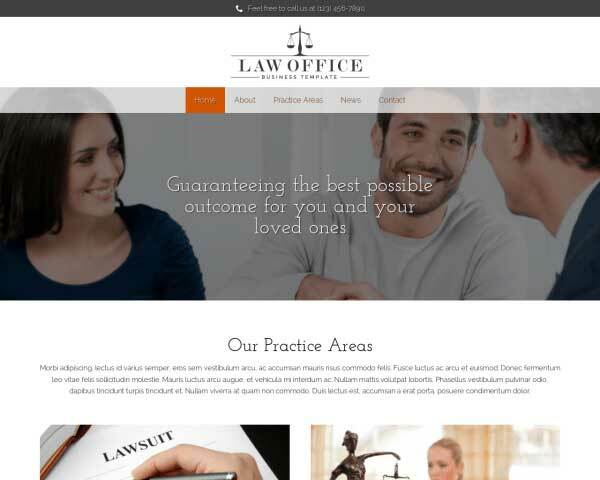 Simply replace the icons with your client logos. 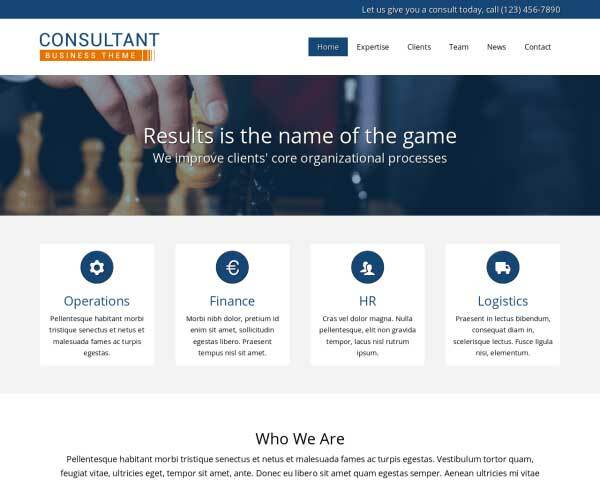 The Business Consultant WordPress Theme has a strong design, which is accomplished by the spacing of elements, and the way the colors are being mapped and re-used throughout the site. 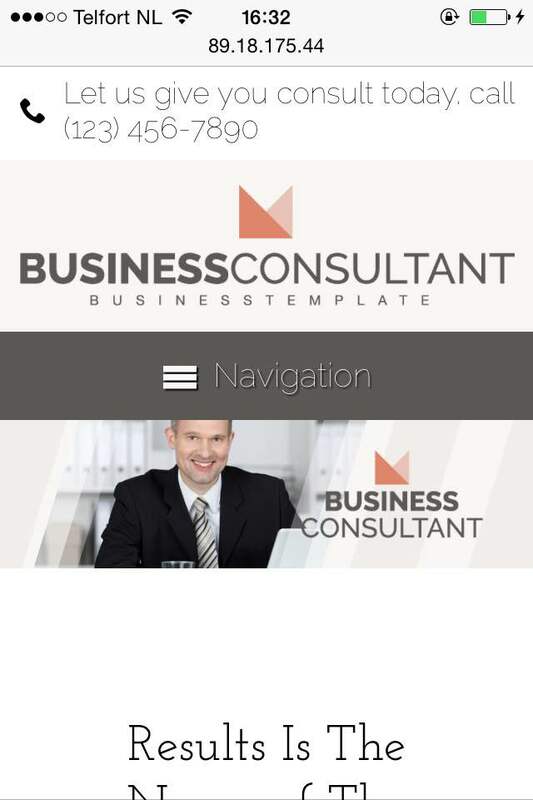 The Business Consultant WordPress Theme has a built in about page where you can list your team of experts. This is truly a must have if you want to add some more trust to your site. Make sure that visitors receive the same message of savviness and professionalism even when they view your pages on on smartphones and tablets. 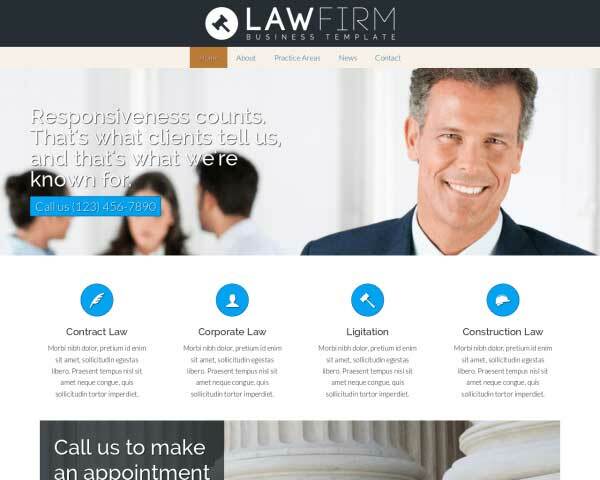 This responsive Business Consultant WordPress theme is mobile-optimized to automatically adjust the layout of your content to display neatly on any handheld device. Mobile visitors will enjoy the same professional and functionality of the desktop version, plus the ability to tap your phone number to dial or tap your email to open a new draft.